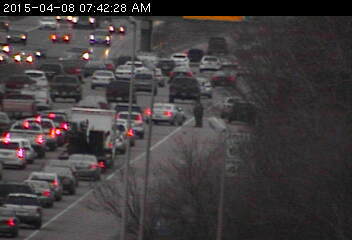 It's another mishap for southbound 35W in the northern suburbs. This one at County Road I has traffic jamming at Hwy. 10. Ahead, look for a pickup on the right shoulder at County Road C and the trailer it was towing on the left shoulder. Traffic crams up at County Road E2.